I wish I could say that you’re preparing to watch a twelve minute walk-through of a T-Mobile branded Galaxy S III, sadly that isn’t the case. Unfortunately, we’ve yet to see any of the US branded handsets appear in the wild but, this video courtesy of Tech65.com is a great 12 minute walk-through showing off plenty of Samsung’s flagship smartphone features. At the very least, you’ll have something to do for 12 minutes while we wait around for US carriers to make announcements. I sure hope so! sold on day one for me. Got proof you can send? 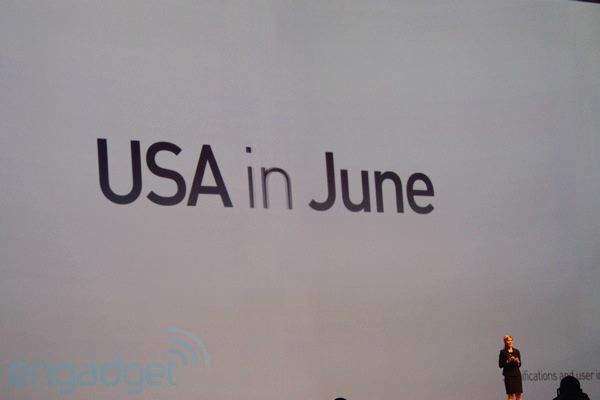 The USA date was set for June according to Samsung’s event earlier this month. I was guessing the same date, after all Summer officially starts on June 21st, but it’s only a guess. Stop getting my hopes up. I’m in the market for a GSII but i may have to stop myself and see if the GSIII really does drop in June. Im not very good at being patient. Do you promise? my over/under on the price is 250. What do you think? Let me tell you something, I’ll take Singaporean/ Malaysian English any day of the week over the Spanish-English garbage that comes out of America today. Nice, but still leaning towards Galaxy Note. Sense has it on a tab in the notification bar. Oooh. Fingerprint magnet. I’d be wiping that thing off on my pant leg CONSTANTLY. This is clearly a great phone, but I like the form factor of the One S and the GN better. After watching that video all I am thinking about is if I want it in blue or white. please have a white one on launch day! Color me impressed with this phone! I’ll take the white one please. Although the One X looks better and has the better screen, I would go with the Galaxy SIII because of its microSD card slot and its removable battery. Im waiting to see what Nexus devices are coming out later this year. Maybe because nobody has access to the USA version to do a tech vid. The guy said he was in Singapore in the Samsung Offices. I really hope the Tmo US version doesn’t have that ugly single home button. Also let’s hope Tmo releases the white and blue variants at the same time… Unlike the GSII white releasing almost a month later. i’m still disappointed in this phone…screen isn’t a upgrade from other phones on the market and the design is similar to samsungs budget phones. I hope that there are variants to choose from for the states…its just not impressive to me. GET IN MY POCKET NOW! While I hope TmoUSA sells this new mobile, I sure hope TmoUSA will sell the Note too. My eyes and hands prefer the bigger screen of a Note over new flashy software features anyday. Couldn’t agree more. And most of the software upgrades will eventually trickle down to other phones anyway. But there is no upgrade for screen size. If T Mobile was smart, they would start shipping this out in time for Fathers Day. I’m still dying to know if Samsung plans to give any of these features to the Note and GS2. Yep I just fed exed my wallet to samsung no other phone is in comparison right now! So I waited for the SGS3 to upgrade my SGS1. Question: Should I get the HTC One, SGS 3, or Google Nexus (from Play Store) ? I’d wait longer to see what’s up with the rumored 5 Nexus devices. Any info on this David? You mean when we posted it over a week ago? :-) Don’t forget to use the search function kids! Yo David, what happen to your ninjas, and whats going to happen on June 20th? It was kind of confirmed already by mobilesyrup that Canadian will get theirs on June 20th, how about us in the state? Here’s the user manual for the Samsung Galaxy S III. Be aware the USA version may be different.